Since 1922 The Stony Brook School has built a legacy that is committed to excellence in both their academic and athletic programs. For many years we have honored the excellent performances and contributions of our students by presenting them with a beautiful plate that details their achievements. The Registry for Excellence provides excellence in their products and customer service, and we count it a privilege to partner with them in continuing our valued tradition. 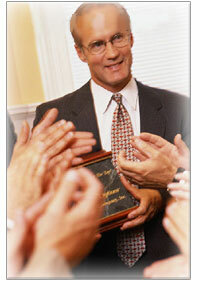 We have been working with Registry for Excellence for over 10 years. It started as a custom cast plate needed as an award. We were so happy with the creativity and quality of the product that we expanded our program so we could increase the number of awards distributed. From there, we grew the ad specialty business with Registry and designed items from awards to clothing, customer appreciation programs, trade show giveaways, corporate event gifts and so much more. Registry is great to work with, they are local, dependable, fairly priced and they truly care if their customer is happy. One of the best vendors I’ve ever worked with. ______________________________________________________________________________ The ease of ordering and the prompt support and response are excellent. The workmanship is excellent and the choices of options to recognize student achievement in sports, clubs, activities and academics are exceptional. I have not found another company that offers such a variety and works so well with its customers. The response to the award at the Senior Awards Ceremony is excellent. Although it is the top award the plates and individual emblems are very impressive. Parents, students and the community are very impressed with the quality and how nice the presentation looks. I do want to thank you especially as you have made this so easy each year. Even when I call with a last minute request the response is excellent. Thank you for doing a great job as it makes my job that much easier. More important than that is the fact that students are recognized with a quality product. Oley Valley high school selected the “Registry for Excellence” because of the quality and workmanship that was presented in their products. We have been proud to present our high school students monthly academic award plates created by your company. Your hard work and dedication to supplying our students with the best quality awards at a fair price is appreciated during these tough budget times. Our school has also ordered individual medallions for our upcoming 100th graduation to be presented to our students and faculty. Thank you for the diligence and individual care you have demonstrated during our meetings and all communications. The “Registry of Excellence” has become a permanent aspect of our school culture. I shared our first two "In Recognition" plates for our retirees yesterday afternoon at a faculty meeting. Everyone loved the plates (especially the retirees!) . . . their appearance, quality, and the box/velvet packaging. There was enthusiastic approval for starting a new Pikesville High tradition for our retiring staff members. Because these two educators are retiring on March 1, I had to move fast in contacting you. Registry for Excellence met my deadlines for design and delivery with precision. I appreciate your attention to detail and your consideration of your customers. I have used the Registry for Excellence awards at each high school I have been principal. It quickly becomes the most prestigious award given out at the honors banquet. I use the award to recognize the top graduating senior in each subject area nominated by the teaching staff. It is a pleasure doing business with the Registry for Excellence. We present our 25 year faculty members with custom plates including individualized medallions. When the faculty member retires we complete it with the medallion of the year of their retirement and mount it in the wood box frame. The administration is proud to present these awards which are coveted by our staff. Since this is an ongoing awards program we greatly appreciate the continuity of the product and staff and the efficiency of the business as a whole. Outstanding program with OUTSTANDING PERSONAL AND TIMELY SERVICE. Our students, coaches, and parents all look forward to our annual senior awards program where the Registry for Excellence is awarded. I highly recommend it to all schools. Copyright 2019 Registry for Excellence. All rights reserved.